Friendly and enthusiastic worker with 6 years of specialization in customer service. 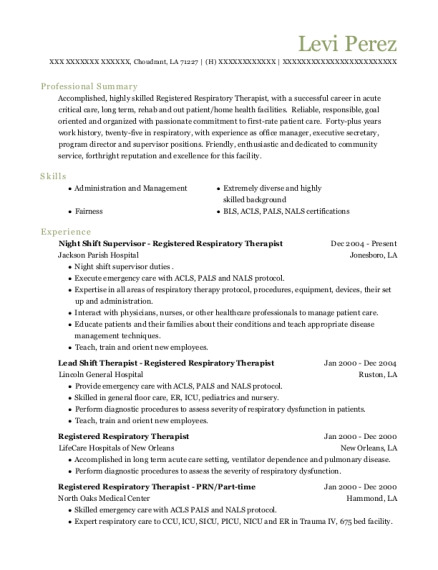 Able to learn new tasks quickly and proficient in growing key customer relationships. Represent establishment with friendly, professional demeanor at all times. Serve customers food and beverages. Accept payment from customers, and make change as necessary. Clean and organize eating, service, and kitchen areas. Communicate with customers regarding orders, comments, and complaints. Prepare daily food items, and cook simple foods and beverages, such as sandwiches, soups, coffee and deserts using proper safety precautions and sanitary measures. Perform personnel activities such as supervising and training employees. Answer customers' questions, and provide information on procedures or policies. Assist with duties in other areas of the store, such as bagging and carrying out customers' items. Maintain clean and orderly checkout areas and complete other general cleaning duties, such as mopping floors and emptying trash cans. Weigh items sold by weight to determine prices. Bazar at la Paroise Saint-Sauveur, Helping Kids Play Bingo and Clean the Church. Food Bank Grade 9 and 10. Pajo Certificate June 25, 2013. French Certificate June 21, 2010. Grade 9 Average of 76% 2009-2010. Grade 10 Math Certificate June 21, 2011. Grade 10 Average of 75% 2010-2011. Grade 11 Average of 77% 2011-2012. Grade 11 French Certificate 2012. Grade 12 French Certificate 2012-2013. Grade 12 High School Diplomat. 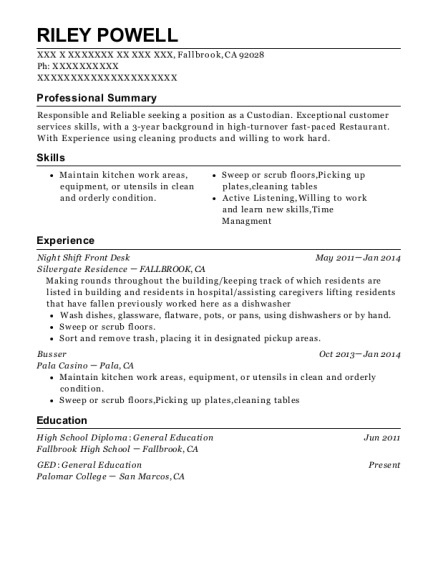 This is a resume for a Night Shift in JENNERS, Pennsylvania with experience working for such companies as Tim Hortons and Metro. 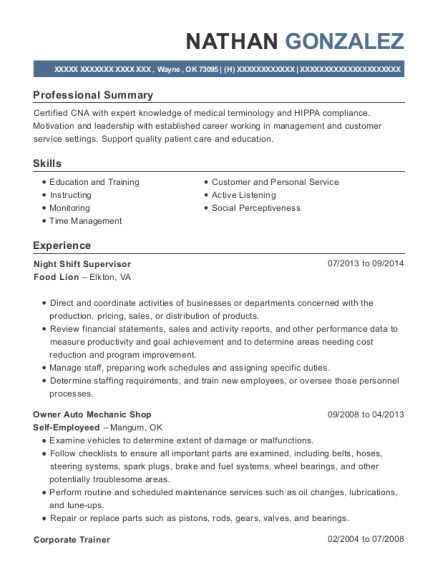 The grade for this resume is 0 and is one of hundreds of Night Shift resumes available on our site for free. 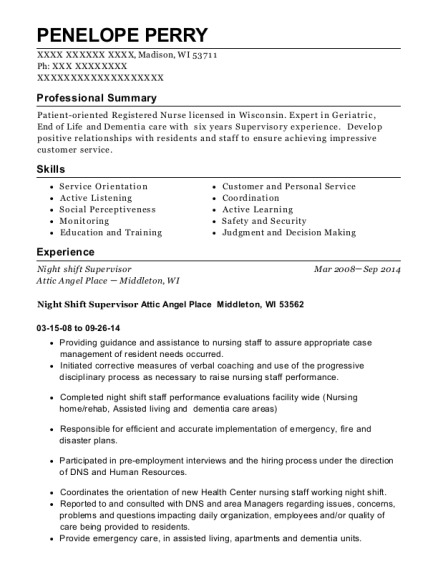 Use these resumes as templates to get help creating the best Night Shift resume.